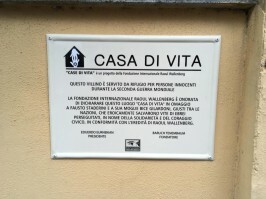 “House of Life” plaque in Staderini family house. 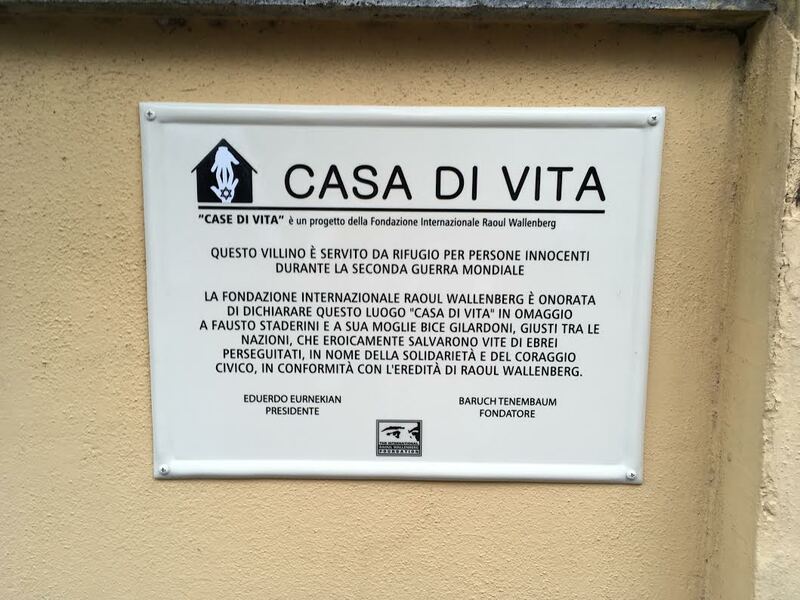 In tribute to Fausto Staderini and his wife Bice Gilardoni, Righteous among the Nations, who heroically saved lives of Jews persecuted during World War II, the International Raoul Wallenberg Foundation declared their home as “House of Life”. This programme highlights the places where victims of Nazi persecution found shelter thanks to the courage of those who risked their lives by doing so. Its mission is to mark the physical sites that gave refuge. The moving ceremony, held on June 5, took place in the Staderini family house, in Via Nicotera 4, in Rome. 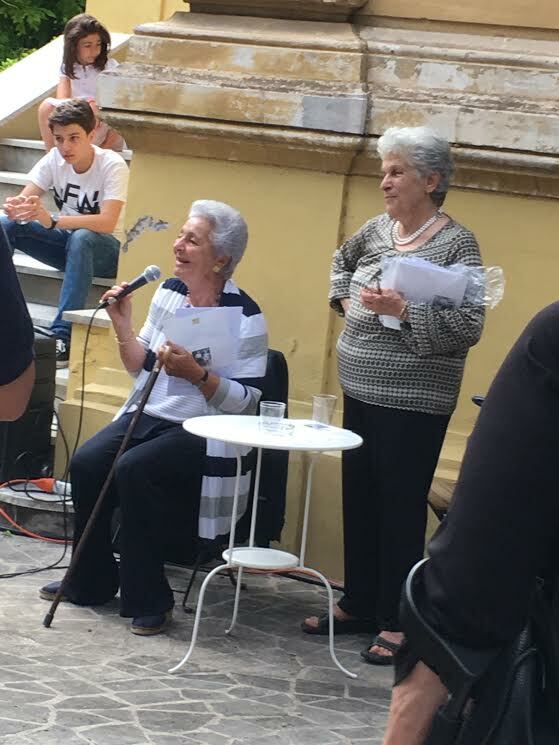 There was an introduction by Professor Alesandra Staderini, daughter of the Righteous, Silvia Constantini, Vice President of the Foundation and Dr. Irma Staderini, granddaughter of the Righteous. 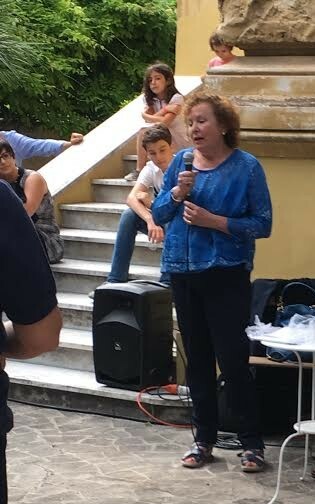 Several personalities were present, such as Dr. Sabrina Alfonsi, representing the Municipality and Professor Giampaolo Malgeri and Professor Gennaro Colangelo, both from the University of Lumsa in Rome. Fausto Staderini, an engineer, was born in Rome. He was the owner of a print shop, and employed 200 people. He was married to Bice, the daughter of Prof. Annibale Gilardoni, a member of the Italian parliament in the 1920s and a well-known anti-fascist. The Staderinis were blessed with six children, the youngest of whom was born in 1942. They were liberal humanists and had many Jewish friends. Bice was especially close with a Jewish woman named Graziella Perugia. After the German occupation of Italy on September 8, 1943, the Perugia family took shelter in a building that belonged to a monastery in Rome. 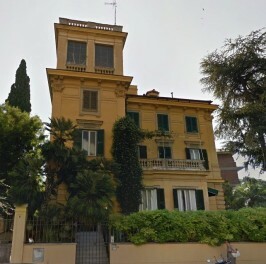 One day, 15-year-old Anna Maria Staderini overheard Graziella Perugia speaking to her mother, Bice, about how worried she was about her daughter Elvira and her husband, Cesare Campagnano, as well as their children, Bianca and Marcello. The next morning, the children were brought to the Staderinis’ house, where they were received with open arms and quickly made to feel at home. The Staderini children were forbidden from inviting their friends to their home any more, as they needed to keep the presence of the Jewish children there a secret. The danger the Staderinis were exposed to by sheltering Bianca and Marcello Campagnano was even greater because the family was known as anti-fascist, and Bice’s father was wanted by the Germans. Bianca Campagnano – saved with his brother Marcello by Fausto and Bice Staderini. Elvira and Cesare Campagnano and Graziella and Arturo Perugia hid in an attic in a building in Rome, where they remained until the liberation of the city. While in hiding, the Staderinis supplied them with weekly provisions, brought to them by their former housekeeper. The Staderinis also safeguarded the Perugias’ valuables and money until after the war. After the war, the bonds of friendship between the two families continued for many years. On November 15, 2009, Yad Vashem recognized Fausto and Bice Staderini as Righteous Among the Nations.